In Slovenia, the period from the second half of the ‘80s until the country's independence in 1992 saw the beginning of the Yugoslav crisis, the emergence of nationalism, and Ljubljana’s final separation from Belgrade. A contribution to the dossier "The long lasting ’89"
For Slovenia, metaphorically speaking, the year 1989 ended on 15 January, 1992. On that day, many European Union (EU) countries recognized Ljubljana’s independence. The flag of the new republic would soon wave in front of the United Nations building. So it came to be that while war was flaring up in the rest of what used to be the Yugoslav Federation, Slovenia was preparing to pursue its dream of integrating into the EU. For Slovenia, the journey towards independence began at the end of the ‘80s. In 1987, a group of Slovene intellectuals published a series of bold theses on why Slovenia would do well without Yugoslavia. The key argument was that Slovenians needed to achieve statehood and needed to form a nation independent of the Yugoslav Federation. The suggestion infuriated Belgrade. There were requests from the Federation’s capital to take action against the authors of those pamphlets. In Ljubljana, however, no one had any intention of doing that. The delicate affair was entrusted to Stane Dolanc. Tito’s former would-be heir, who represented Slovenia in the Yugoslav presidency, took charge of covering up the issue. In his view, it was necessary to go after some of the authors, but first, it would be necessary to act against those who wrote the infamous memorandum of the Serbian Academy or Arts and Sciences (SANU). The Army was already openly accusing the Slovenian leadership of opportunism and questioned how much longer the League of Communists would actually have control over the situation. According to the generals, the very existence of Yugoslavia and the socialist order was at risk. They reached the point of planning a direct military intervention and the deployment of troupes for the purpose of maintaining order. The situation was equally unstable for the leadership of the republic but no one from the Slovenian leadership seemed ready to support the Army’s position. The story quickly leaked to the Slovenian press. A secret audio recording of the meeting in which the possible military intervention was discussed was, as a matter of fact, given directly to journalists. At that point, the Slovenian police intervened and arrested four persons, among them Janez Jansa. The arrests provoked an immediate response of solidarity. Igor Bavcar, the official who leaked the secret recordings, immediately formed a committee for the protection of the detainees. About 100,000 persons and 1,000 organizations joined the committee. The Slovenian leadership found itself stuck between a rock and a hard place, torn between the crowds and military pressure. Ljubljana officials quickly met with members of the Committee For the Protection of Arrestees. In this way, formal dialogue began with the organized opposition. The imprisonment of Janez Jansa in the spring of 1989 sparked another large protest and the reading of the “May Declaration”. The Declaration underscored Slovenia's will to live in a sovereign state of Slovenian people. At the same time, the first political parties started to emerge and the Slovenian League of Communists first mentioned a desire to relinquish power. Among other things, the Party in Slovenia realized it no longer had majority support. The first clear signal was the nomination of the new Slovenian representative in the Federal presidency. The name was to be formally proposed by the assembly of the republic, but a sort of electoral consultation was called instead. In this way, a complete unknown, Janez Drnovsek, managed to beat the Communist League's most credible candidate. The Slovenian communists' democratic steps caused confusion in the Federation. An entire series of new parties were emerging, inspired by so-called “bourgeois values”. Serbia suggested openly that the reforms went against the Yugoslav constitution, accusing Slovenia of allowing the formation of parties hostile to socialism. The confrontation between the two republics had already been evident for some time. Ljubljana feared that its autonomy within Yugoslavia might be questioned, whereas Belgrade wanted stronger integration and, above all, aimed to bring Kosovo back under its control. It was for precisely this reason that, at the beginning of 1989, the Serbs launched a series of constitutional modifications which annulled the autonomy of the province of Kosovo. Ljubljana sympathized with the Albanians and decided to change its own constitution. By doing this, Slovenia declared a permanent and inalienable right to self-determination, canceled the communist party's guiding role, and opened the door for a multi-party system. This was received with hostility by the rest of the Federation, which contemplated the use of force to prevent adoption of the amendments. A dramatic meeting of the Party Central Committee in Belgrade did not change Slovenia's mind. Slovenian delegates declared themselves to be first Slovenians and then communists. At the end of September, 1989, the amendments were approved. In the rest of the Federation, there were public protests and calls for restoring order in Slovenia. There were calls for a meeting in Ljubljana aimed at explaining the “Truth” to the Slovenians. The date was set for 1 December. Around 100,000 people from other parts of the Federation were supposed to arrive in the capital. The Slovenian leadership feared that the situation could be used as a pretext for a coup and it was announced that the police would stop the protestors at the borders. At that point, the initiative was dropped, but the Serbs interrupted trade relations with Ljubljana. By that time, the Federation was in tumult and the differences seemed irresolvable. One of the final developments took place in Belgrade during the Congress of the Yugoslav League of Communists. Ahead of the event, the Serbs and the Army made a specific plan aimed at isolating the Slovenians. When the latter saw that all of their proposals were rejected, they left the Congress amidst the jeers of the other delegates. At that point, Milosevic proposed proceeding with work as if nothing had happened, but the Croatians disagreed and the Congress was interrupted. That was it's last meeting. In that climate of chaos, the frail federal government launched an ambitious project for economic revival. The formula was to peg the dinar to the German mark and to closely control the emission of money into circulation. It needed enormous financial vigor to make it work, and such vigor did not exist in the Federation. 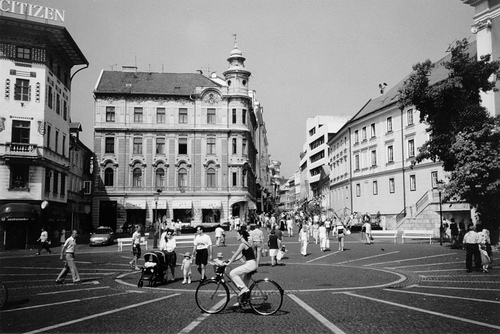 In the spring of 1990, the first democratic elections took place in Slovenia and Croatia. The military waited for an order from the federal presidency to intervene. Defense Minister Veljko Kadijevic was very concerned about the “revanchist character” of the nationalist parties and predicted that if the country disintegrated, it would not be possible without a civil war in some areas of Croatia, Bosnia, and Serbia. In Slovenia, the former communist party succeeded in electing its former secretary, Milan Kucan, as president and in obtaining the relative majority of the votes, but it was the opposition coalition which won. Demos had as a central tenet of its program Slovenia’s sovereignty and the consolidation of parliamentary democracy. The military immediately moved to amass weapons for its Territorial Defense. The Territorial Defense was a military structure over which the republics exercised considerable power. The Croatians were completely disarmed but the Slovenians had actually managed to save something. Perhaps because of this maneuver, the new Slovenian political leadership promptly started to work on creating its own defense structure. An “illegal” army of 20,000 men was formed and Slovenia tried to procure weapons. Arms were taken from the army depots with the excuse that they were needed for drills. Other weapons were stolen, and others simply bought abroad. The Slovenian political parties discussed a strategy for making a declaration of independence. After months of debate, the parties agreed to hold a referendum. Citizens were asked if they wanted Slovenia to become an 'autonomous and independent' state. This formulation left the door open to the possible retention of links with the rest of the Federation, but it also opened the door to full independence. In the end, almost 90 percent of the electorate was in favor of Slovenian independence. The astounding result made the citizens' will clear to the political leadership, so the leadership of the republic intensified efforts to leave the Federation. Ljubljana decreed an end to the army draft and formed its own training centers, causing a stir with the military. The interruption of the transfer of customs fees into the federal budget also caused an uproar. At one point, it seemed as if Belgrade would directly take control of the Federation's external borders. On 25 June, 1991, when everything was prepared, Slovenia declared independence. At that point, the federal government ordered the military to take control of Slovenia's borders. The Army was convinced that a few tanks would be enough to calm Ljubljana down. In addition, policemen and customs officials were deployed totaling around 2,700 men. In 48 hours, they took control of all the border crossings into Slovenia and Slovenia was almost completely blocked. At that point, the Slovenians responded by blocking the army barracks, cutting their water and power supply, and by going into counterattack to regain control of the borders. The military did not expect a reaction from the Slovenians, but the conflict stayed very confined and, because of a series of fortunate circumstances, did not escalate into war. More than on the ground, Slovenia won the battle on the media front. The small republic started to elicit some solidarity internationally, demonstrating that it knew how to well use its international contacts created over the years through projects of regional cooperation.